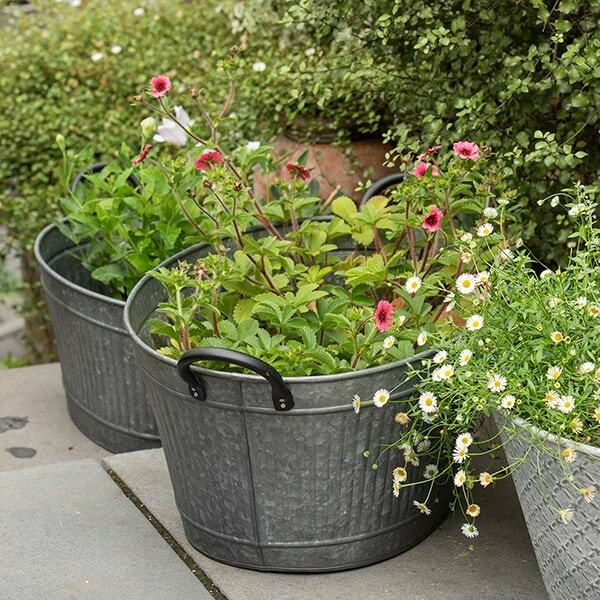 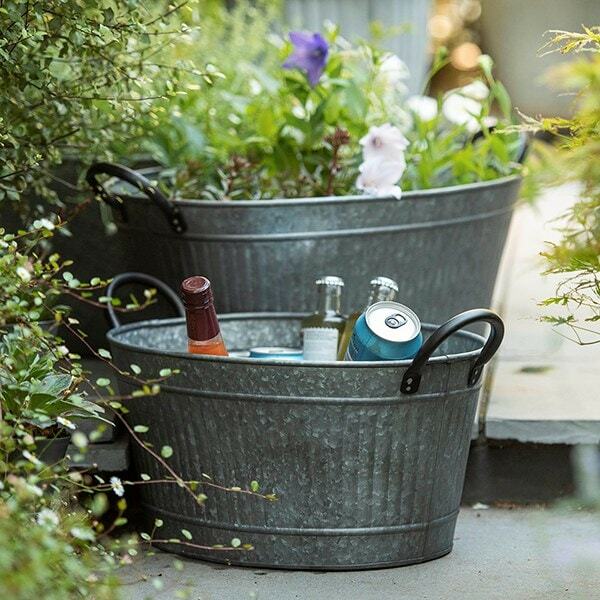 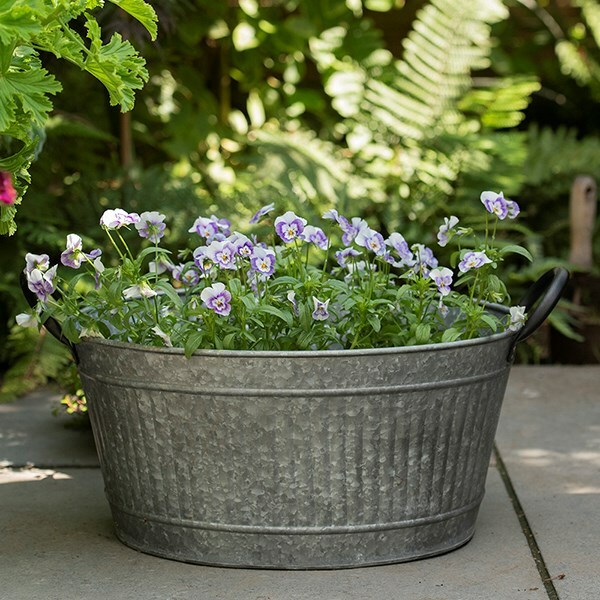 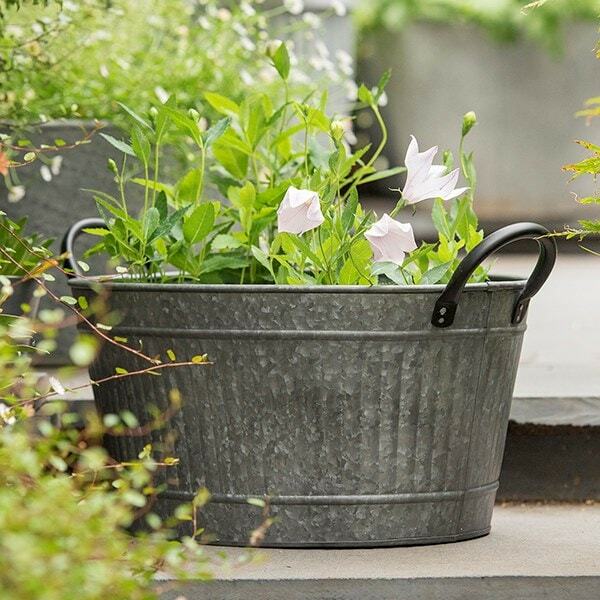 This versatile oval tub can be used for planting, storage or even as a unique drinks cooler for al fresco entertaining. 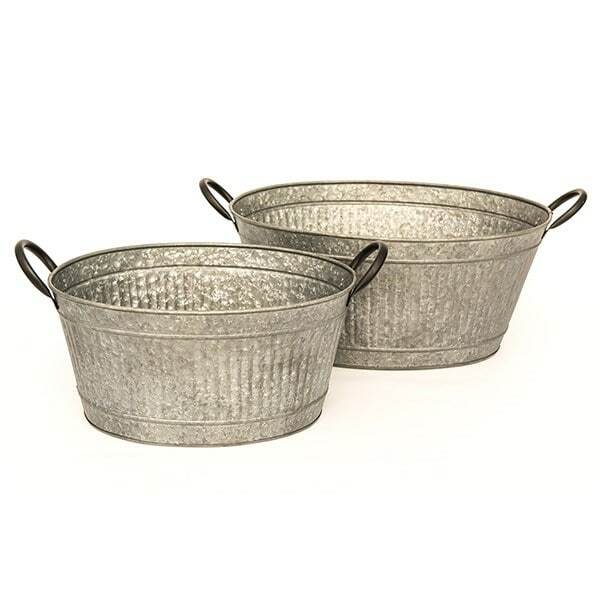 Made from ribbed galvanised steel with an aged zinc finish and black powder-coated handles. 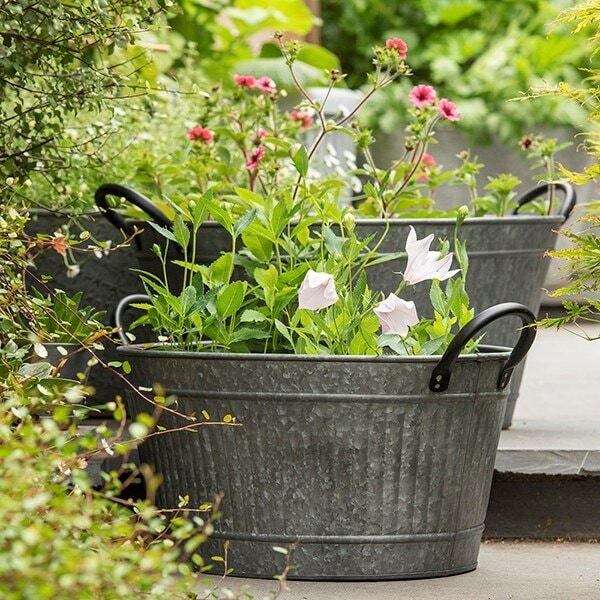 Supplied without drainage holes; if using for outdoor planting, drill holes in the base.